We can meet all your heating system needs from burners and boilers to distribution systems to oil storage tanks. We recommend and install the most reliable tanks in the industry. Please contact us at any time with questions regarding these or other brands that you might be considering for your home or business. 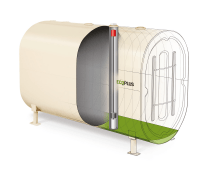 are an excellent value with a standard capacity of 275 gallons and other sizes available. They are among the most popular in the business. 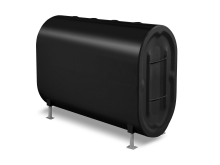 double bottom oil tank with UV protection is an excellent choice for outdoor placements. 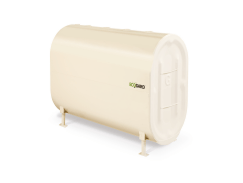 double bottom oil tank with enhanced exterior protection is suitable for both indoor and outdoor installation. offer galvanized steel construction, sleek design, and a standard 275 gallon capacity. Our most popular model is the DWT 1000L. Anderson Fuel offers TankSure®, a tank protection plan that evaluates the condition of your tank and protects you if your tank ever deteriorates or leaks.